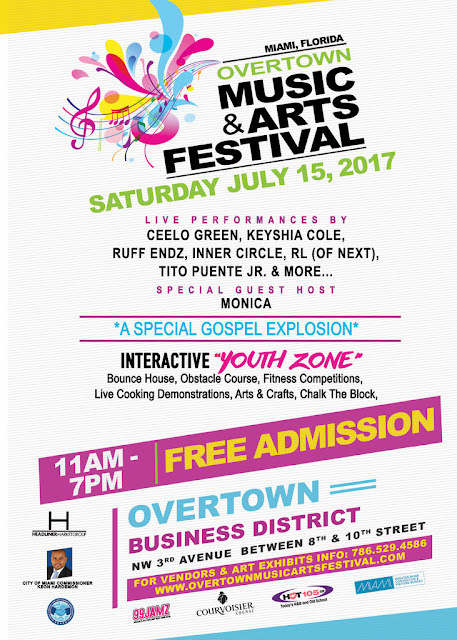 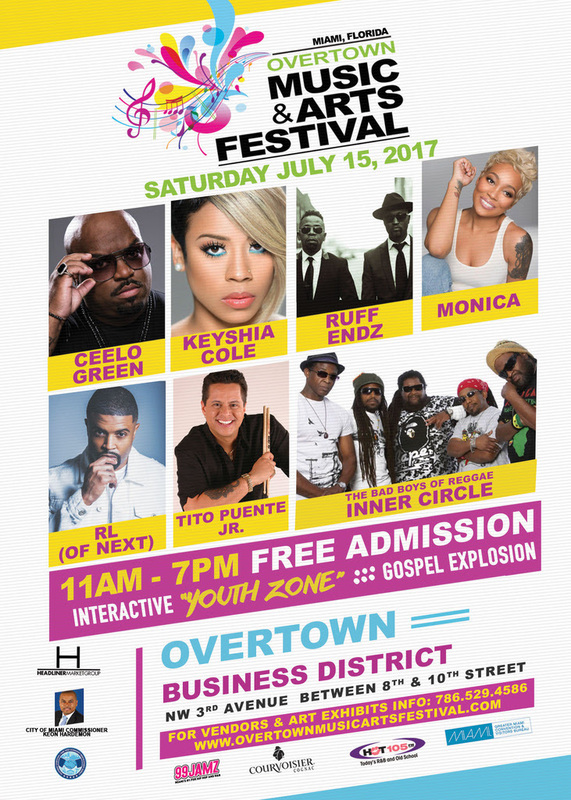 Saturday, July 15th | Overtown Music & Arts Festival ~ Phresh Hott New! Headliner Market Group I City of Miami Commissioner Keon Hardemon | SE Overtown Parkwest CRA | The Knight Foundation | Greater Miami Convention & Visitors Bureau presents Overtown Music & Arts Festival. Featuring live performance by Keyshia Cole, CeeLo Green, Monica, RL (Of Next), Ruff Endz, Tito Puente Jr., The Bad Boys of Reggae Inner and many more…..